Employers are concerned about the prospect of restrictions on their ability to recruit workers from the European Economic Area (EEA), according to the Migration and Advisory Committee (MAC), with many claiming migrant workers were often the best or the only available candidates. An interim report into the effect of Brexit on the UK labour market found that employers were fearful about what the future migration system might be, particularly those in higher-skilled sectors that use the current Tier 2 system to recruit non-EEA migrant workers. They were concerned that both the rules and the caps on the number of workers granted a working visa under the Tier 2 system would be applied to EEA migrants post-Brexit. Employers in lower-skilled sectors, where the MAC said there have been large increases in the share of EEA migrant workers since 2004, were also concerned about restrictions potentially being imposed. The report, EEA workers in the UK labour market: interim update, also found that the majority of organisations that employed overseas workers did not seek to recruit them over UK residents. They often found they were best for the job as they had skills that were scarce among the UK-born workforce, were considered more motivated, and were more prepared to do jobs in difficult conditions than UK-born candidates, it said. However, the MAC noted that some employers’ claims about their inability to increase the supply of UK workers through higher wages, especially in low-skilled sectors, were exaggerated. It said employers “would almost always” be able to recruit resident workers if they “paid wages sufficiently above the going rate”. “This applies even if there are skills shortages at the national level – an individual employer should always be able to fill the job if a sufficiently high wage is offered,” it claimed. Gerwyn Davies, senior labour market analyst at the CIPD, said there needed to be a route for low-skilled migrant workers to apply for jobs in the UK in the medium to long term. He commented: “Looking ahead, we hope that the MAC and the Government see the merit in a labour shortage occupation list. “Under this arrangement, employers would have to show that they are making efforts to improve the supply of UK workers while demonstrating that the occupation has a genuine labour or skill shortage. 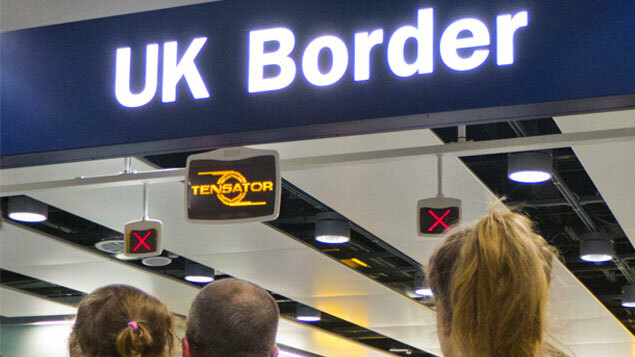 It could be a while until employers will have some clarity over post-Brexit immigration plans, said Jessica Pattinson, head of immigration at Dentons.